Skiing in Grenoble area - Site de ailm2017 ! So, you're coming to the Isère department this winter ? Here, discover an exceptional snow destination. Choose your ideal resort-family-friendly, Nordic, or sprawling ski area. There's something for everybody. Skiing, snow shoe treks, dog sledding, whatever your mood, we'll help you choose. For a successful winter sports vacation, you'll find plenty of good ideas. After all, the joys of the snow are for children from 1 to 92. Warning to all ski and board fans: the secrets to all the best spots will now be revealed! 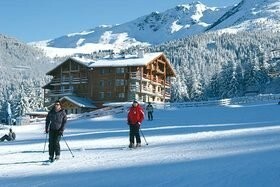 Information on Special Combo Offers including bus transportation from Grenoble down town + Ski pass are available here.